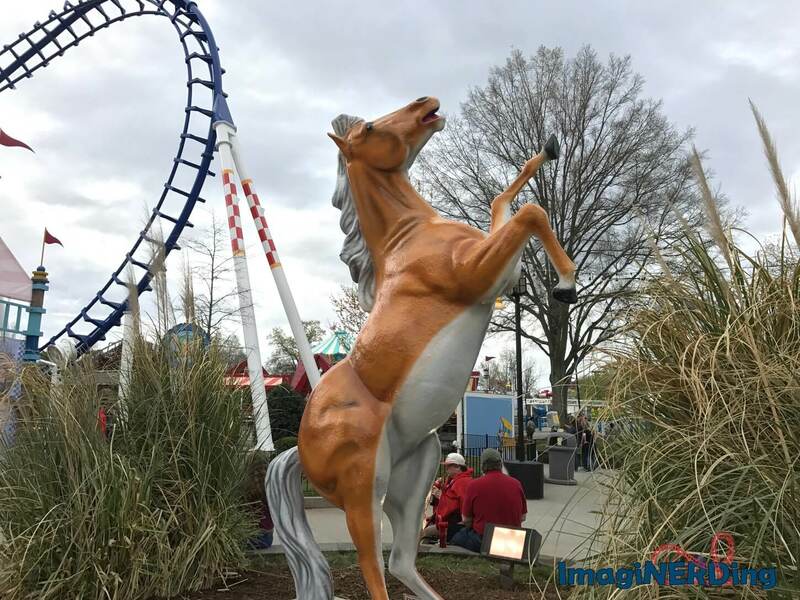 County Fair at Carowinds—New Rides and More! 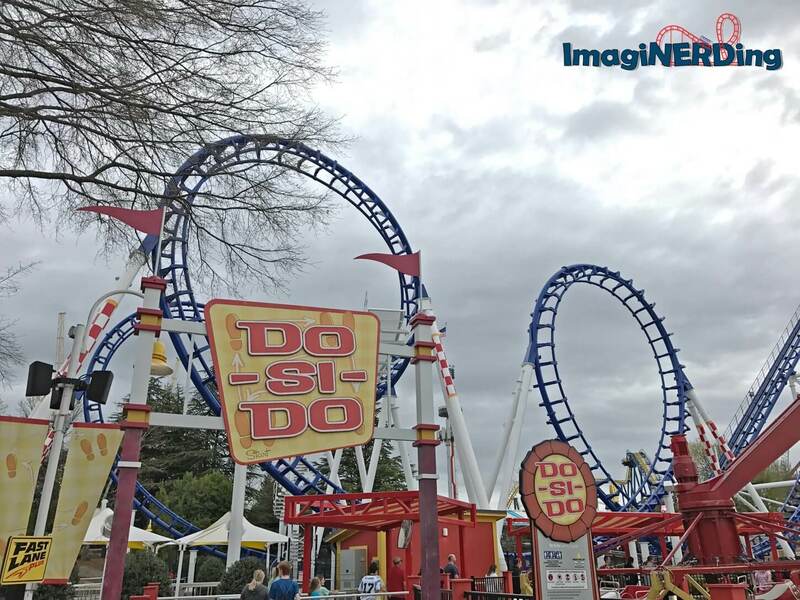 County Fair is the new area at Carowinds. 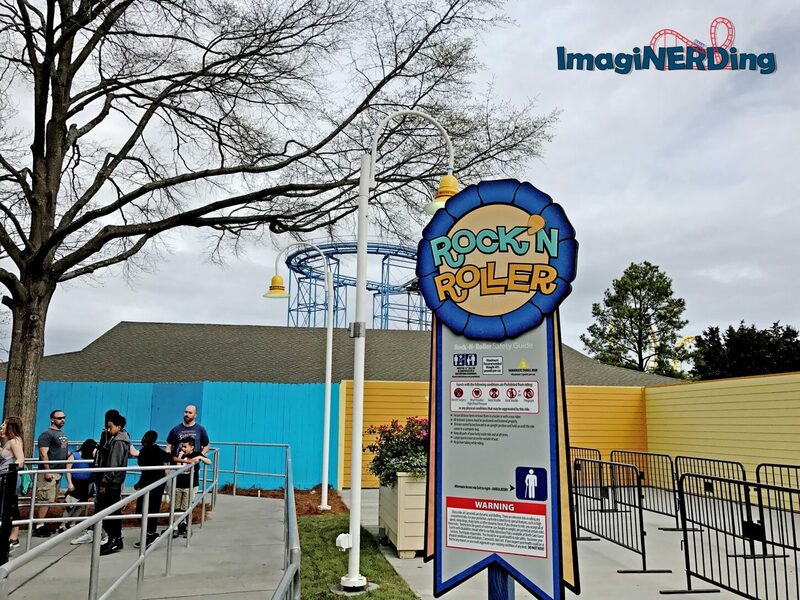 It replaces the former County RFD (Rural Farm Delivery) area and is located between the Carolina Boardwalk and the entrance to the Carolina Harbor waterpark. 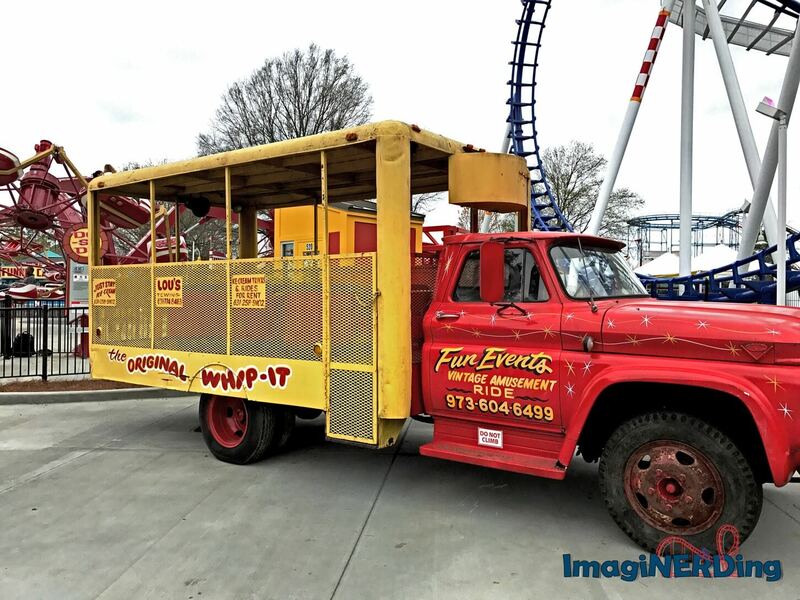 In 2015, the parent company, Cedar Fair, went shopping for vintage flat rides in Europe to add to the North American properties (check out my video on flat rides, here). 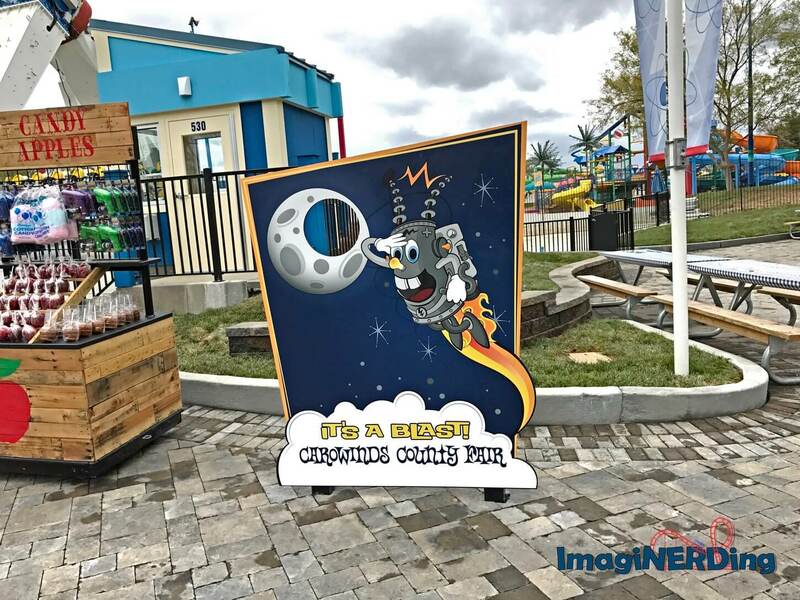 Carowinds is slated to be one of the biggest parks in the Cedar Fair chain and has a lot of room for expansion. 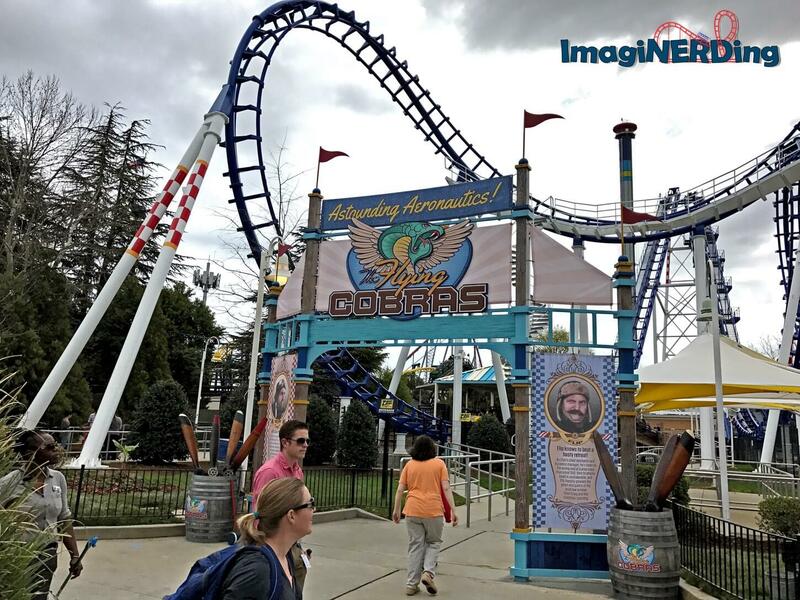 Fans rejoiced because Carowinds would be getting some new attractions. 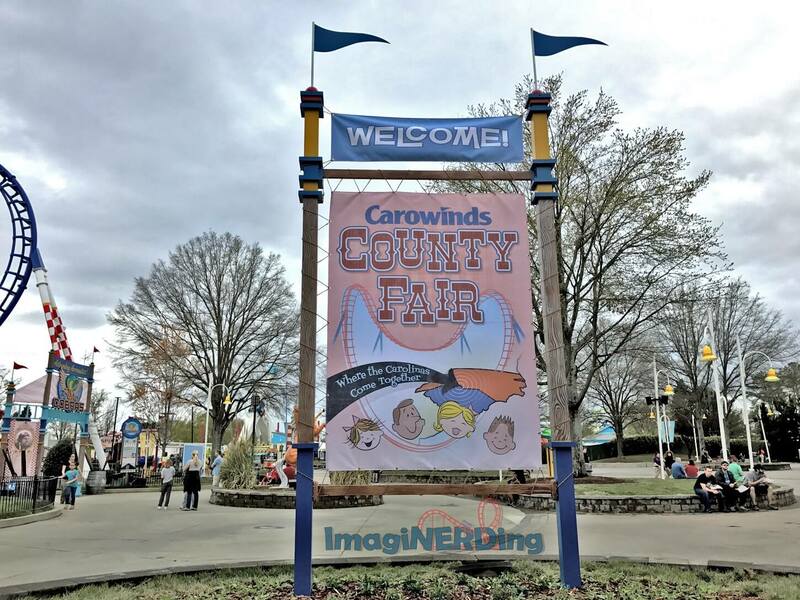 The County Fair section of the park was teased over the 2016 season with the Mayor of Carowinds proclaiming four more if he was re-elected. It was a fantastic marketing campaign, but it just didn’t get enough traction. The Do-Si-Do is a Huss Troika that let’s riders glide up, down and around. The central column rotates one direction while the gondolas rotate in the opposite attraction. The term troika is Russian for three, hence the three arms. 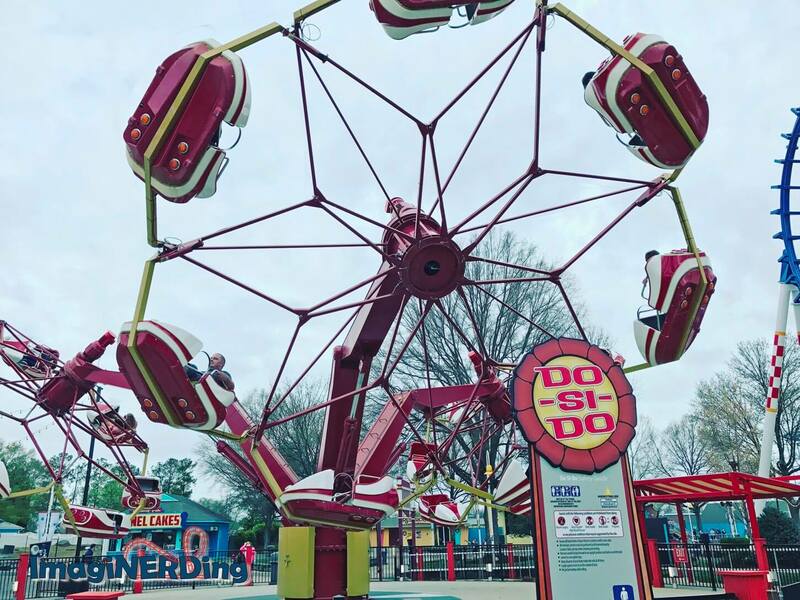 The Do-Si-Do looks like it’s a lot of fun and offers some minor airtime. Sadly, I didn’t get to try it out on my visit. While in line, it broke down. Rock N Roller is a music express from Mack Rides. The ride is based off of older caterpillar-style rides and you might know them as himalayas. The sloped hills make ample opportunity for squishing whomever is on the outside of the car. The ride vehicle actually looks like a record! 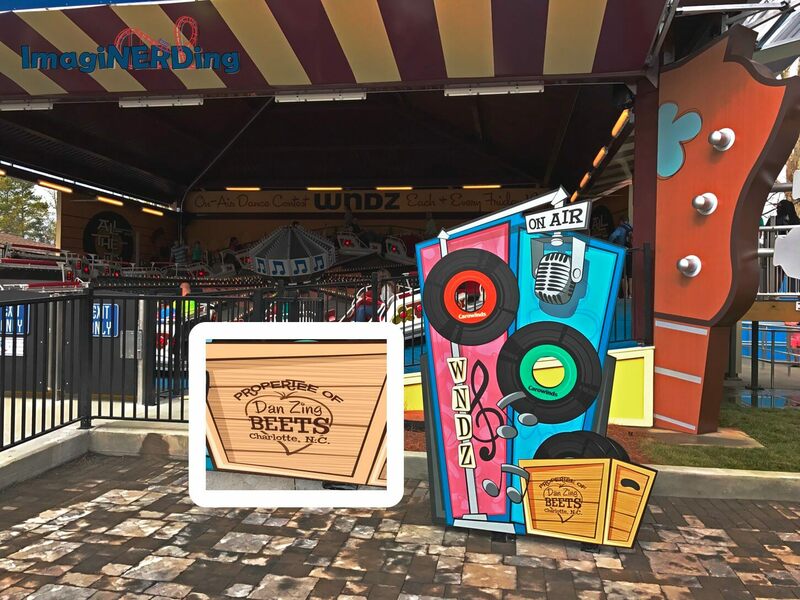 There’s some cute theming with WNDZ as the local radio station’s call number and also standing for the Winds of Carowinds. The photo opportunity near the entrance says “Property of Dan Zing Beets, Charlotte, NC”—because it is on the North Carolina side of the park. And the dancing beats. 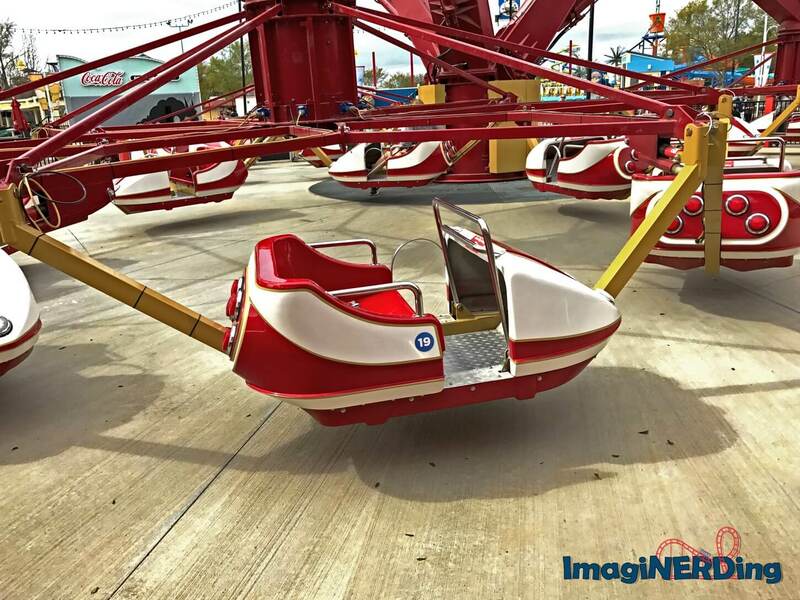 The Flying Cobras is the renamed and repainted Carolina Cobra by Vekoma. It’s still a slow-loading (and painful) Vekoma roller coaster but, they’ve added a backstory to the ride! County Fair: Flying Cobra’s Backstory! With Chet in flight you know you’re about to witness death-defying climbs, loops and drops as he maneuvers through the clouds at remarkable speed! His signature ‘Cobra Roll’ is sure to take your breath away! Enjoy pulse-pounding thrills as he swiftly, deftly and safely navigates the blue yonder. Flip knows how to beat a hasty retreat! As Chet’s chief mechanic and business manager, he’s been on the wrong end of a prop more than once! Still, their brother bond is unshakeable, and Flip happily greases the gears and palms of the local law ro keep Chet flying and the turnstiles spinning. 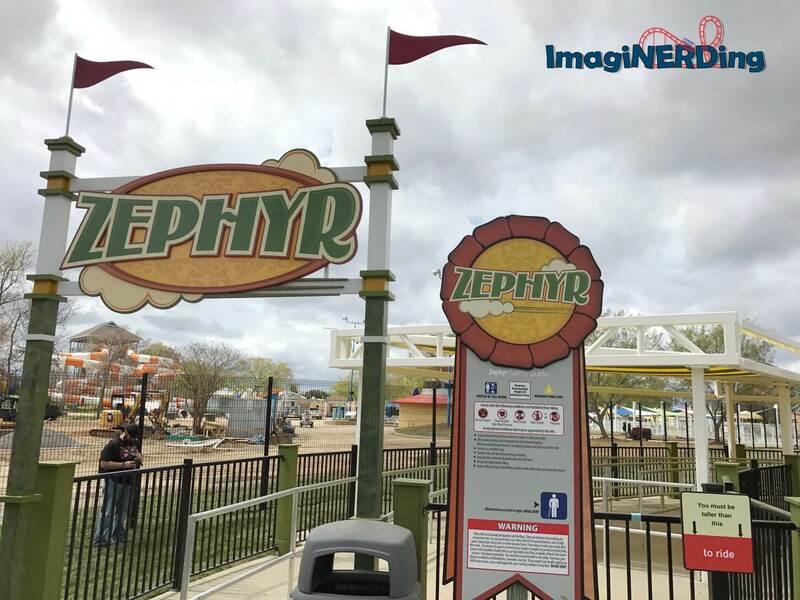 The Zephyr is a swing ride from Zeirer that takes you up and in a circular motion. The top also tips, which offers a wave-like movement. The paint job on the Zephyr is fantastic! 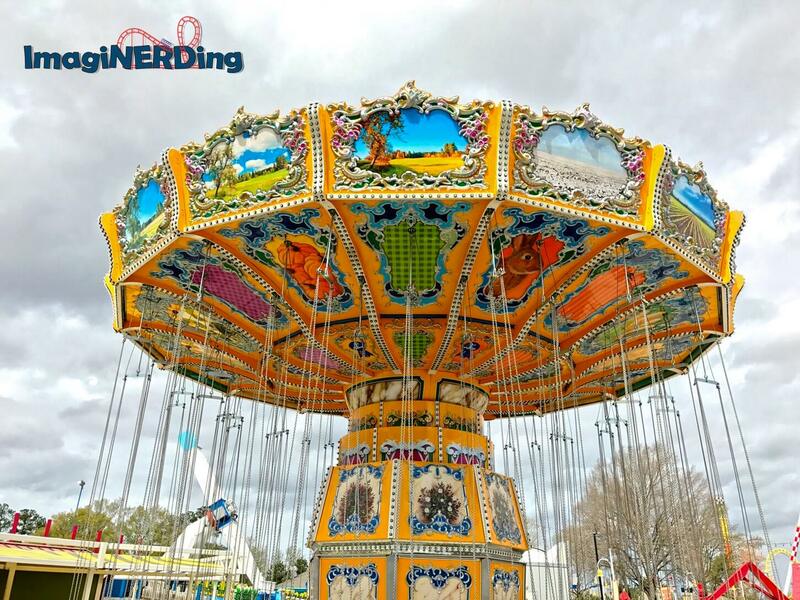 The Electro-Spin is a Mondial top scan ride that is supposed to offer a freely rotating orbit. Unfortunately, it wasn’t in service when I visited. The Funnel Cakes eatery is a re-purposed building. This facility used to called Surfer Joe’s and was in front of the opening of the older water park. Right now, ice cream and the World Famous Funnel Cake are the only items served. It’s $9.99 and it’s topped with ice cream, strawberries, chocolate, caramel and whipped topping. The former Fry Shack is now Fair Fries. during opening weekend, there still wasn’t signage on the quick-service eatery. 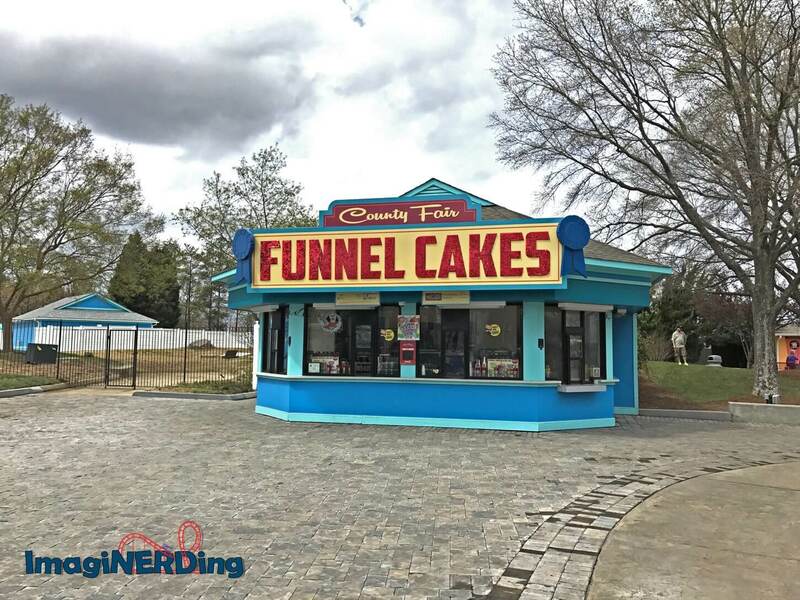 According to the Carowinds web site: Fair Fries will feature…fries, but also traditional County Fair staples like corn dogs, fried corn, hot dogs and more! It looks like it will be a welcome reconfiguration with some fun picnic seating. 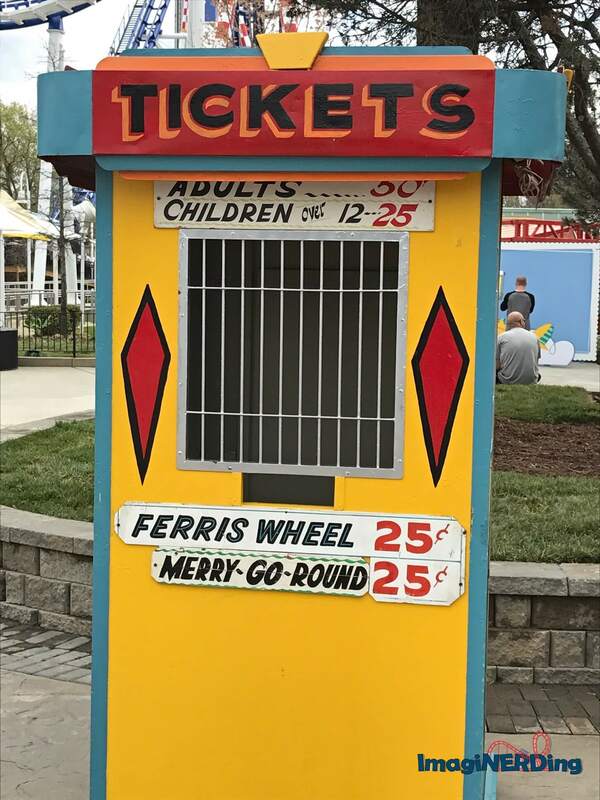 There were a few props in the area, like this ticket booth, which lists rides that aren’t in the park but help to give it that 1950s feel. And several photo spots that you would see in tourist destinations. This truck prop really confused me. I haven’t run across anything like it in any of my research on amusement parks and fairs. Plus, those are real phone numbers, but I haven’t called any of them. I can only imagine that it’s an amusement ride for tours of an area. Do you know what it’s for? There were several other photo props in the area. They ranged from a 1950s outer space theme to a fair awards presentation. They were a very cute way to share photos on social media. This horse statue was located in front of the Flying Cobras and didn’t make any sense to me at all. A comment on my YouTube video stated that it had been replaced with a cobra. Make sure to check out and subscribe to my YouTube channel for more videos on theme park history, Disney books, roller coasters and visits to theme parks like Carowinds, Busch Gardens Tampa, Universal Studios Florida and Epcot! 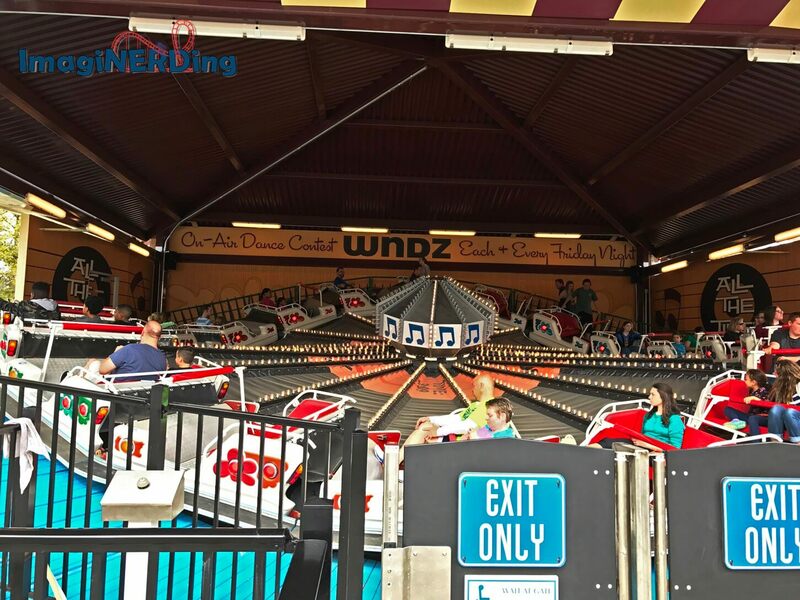 The addition of the County Fair area and the four new flat rides is a much needed improvement for Carowinds. 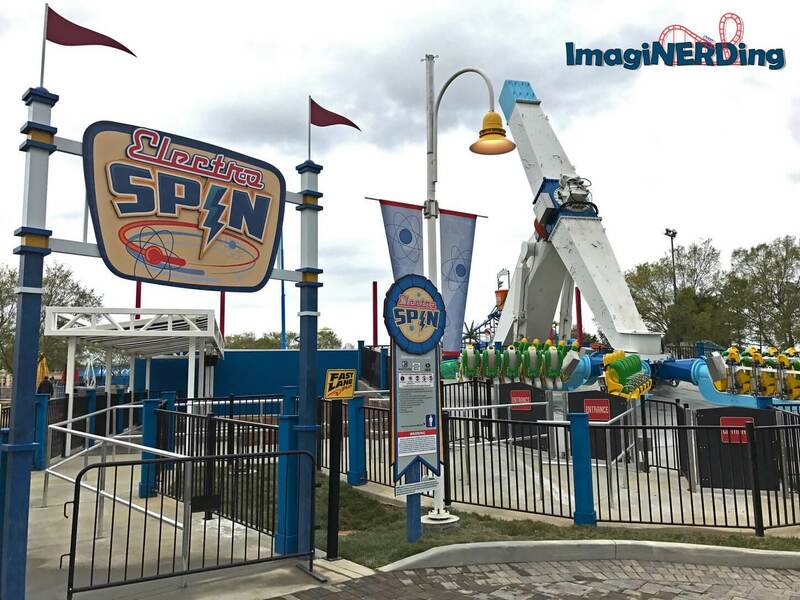 The park has lacked the smaller rides that will appeal to kids and adults that aren’t ready or willing to ride Fury 325, the Intimidator or the other roller coasters. The area, apparently, is still under construction and will have more theming elements added over the next few months. Right now, it seemed rather lackluster and felt like it could have been in any Cedar Fair park in the country. 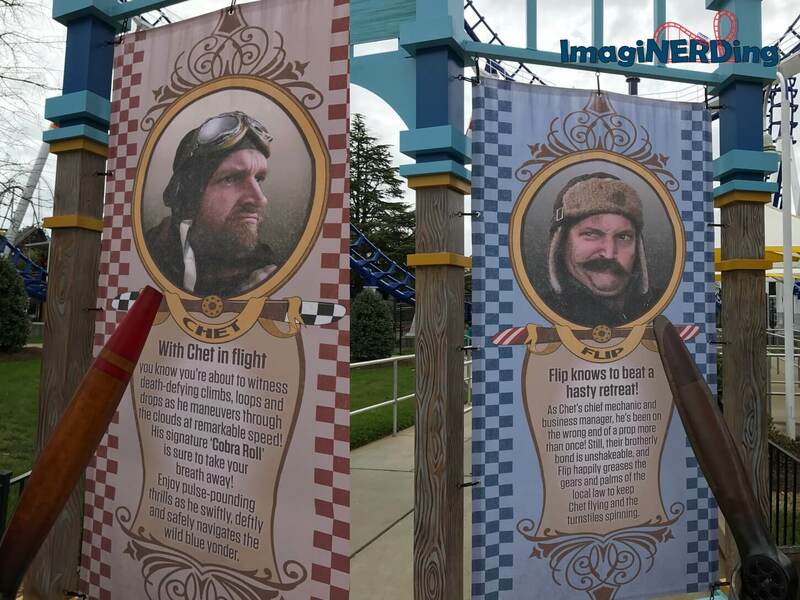 Carowinds has a very unique theme and history, and I’m glad to see that Cedar Fair is using the Carolina theme. The biggest downside is that all of these attractions (including the Flying Cobras) are very slow-loading. The load and unload time is going to be about twice as long as the ride time. The rides are also part of the Fast Lane, which means that lines will be longer. I can imagine that on a busy day, that half of the seats will be taken by Fast Lane. I think that the only option is for Carowinds to have more attendants helping check safety latches and belts. Overall, I love the new rides and can’t wait for more expansion in different areas. When Paramount owned the park, the move was towards thrill rides and coasters. 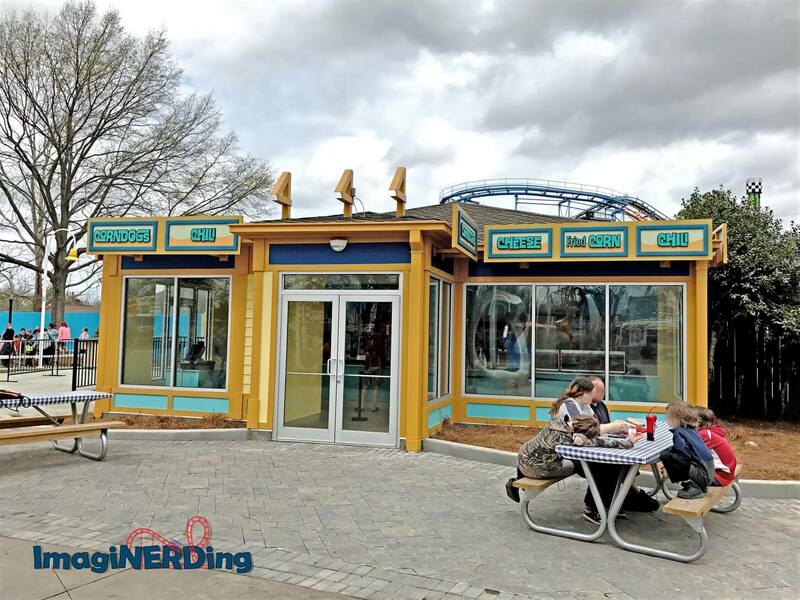 Cedar Fair has done a great job of adding food locations and more family-friendly attractions. But they still need to adda really good wooden coaster. What do you think about County Fair and the four new rides? FTC Disclaimer: I own a Cedar Fair Platinum pass and was not reimbursed in any way, shape or form from Cedar Fair or Carowinds for this post. You Need to Ride Cobra’s Curse at Busch Gardens Tampa! Truck used to travel suburban neighborhood’s and charge for rides in the 50s. Grew up in Levittown NY and saw them many times. Exiting for a kid back then.